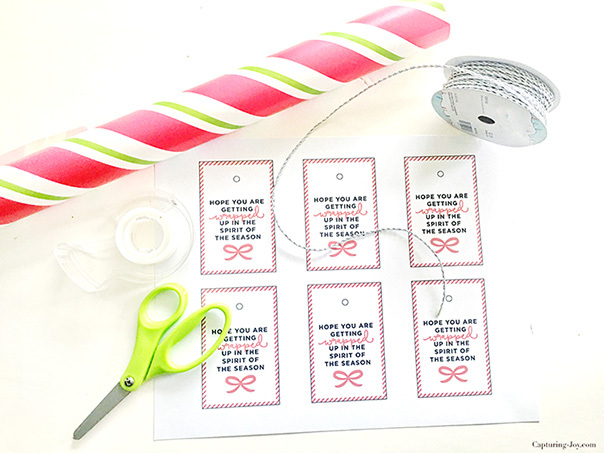 Hi CGH friends, it’s Kristen from Capturing-Joy.com and I’ve got a fun Christmas Neighbor Gift Idea to share with you today, along with a free printable gift tag to attach to the gift! Around the holidays, I think we are all clamoring to attend to the wish lists of our kids, mail presents to out of town family, but I know I also like to try to give something thoughtful to my friends and neighbors that live nearby. It’s not always economical to get bigger items, so I try to think of something that is affordable to gift in bulk, as I like to do this for 20 or so people. You can download the PDF for the free print here: wrapped-gift-tag The printable gift tag paper has 6 tags on one page, perfect for 6 gifts. 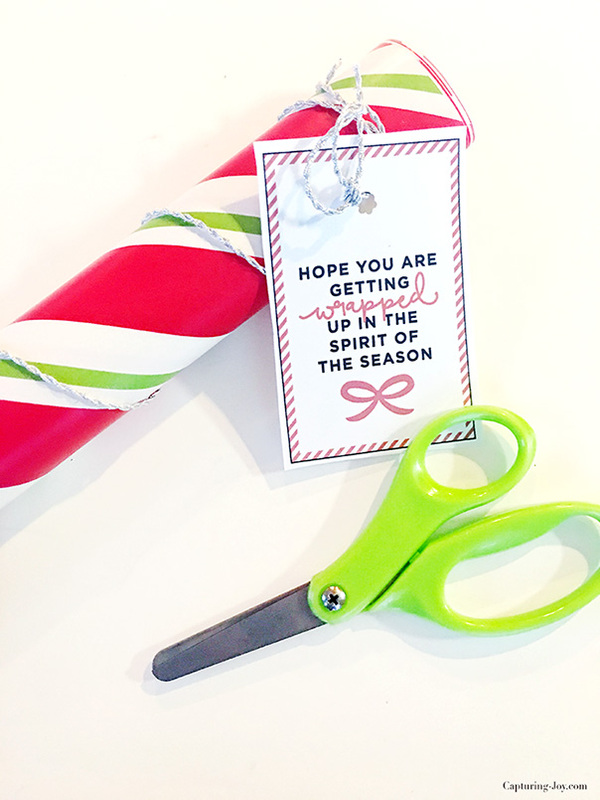 Print, cut, attach to the wrapping paper rolls, and deliver! Your friends will be delighted with the thoughtful gesture, and happy to have a new roll of wrapping paper to wrap gifts for their family! Often times, it’s just being thoughtful that matters during the holiday season. 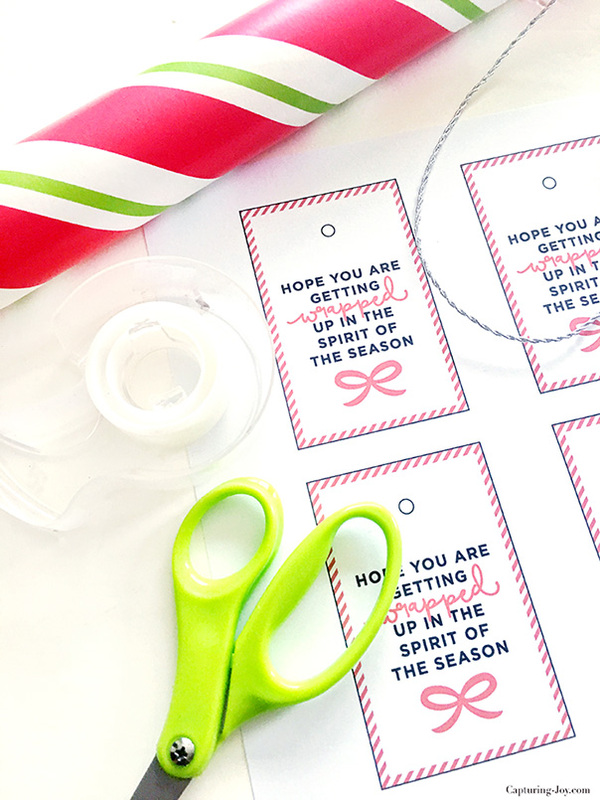 I’ve got lots of Christmas gift tags, holiday photo ideas, printables, and festive recipes over on my site, if you’d like to peruse my Family Christmas Ideas, come on over!